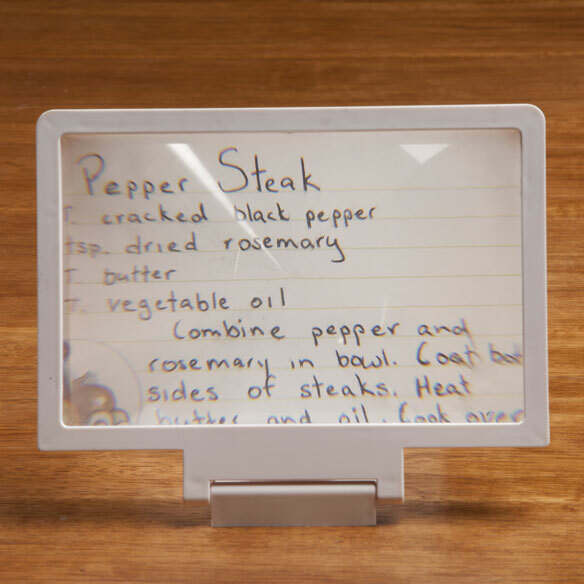 Magnifying your phone’s images up to 3x though a large, easy-viewing frame, this smarphone magnifier's a squint-free solution for folks who rely on reading glasses, experience eye strain, are visually impaired or just prefer a bigger, better view. 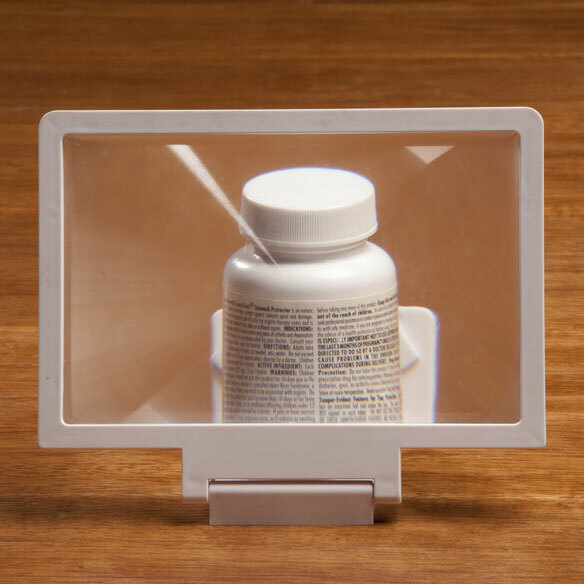 Simply align phone to this screen magnifiers base to amplify photos, websites, email and social media, or enjoy movies while traveling. 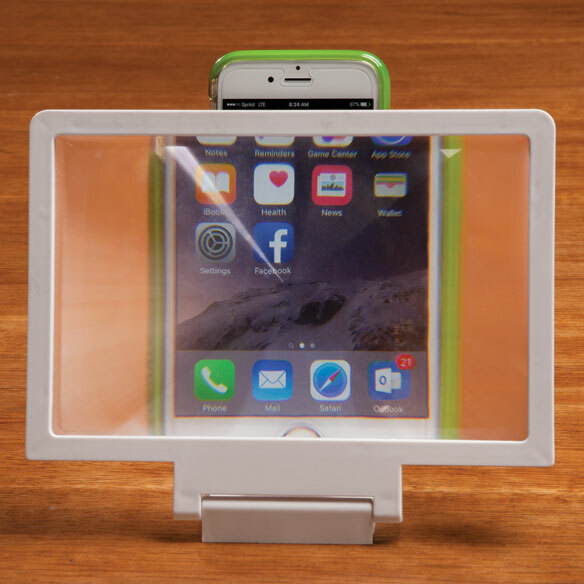 Screen enlarger accommodates iPhone and Android phones. Can also be used without phone for reading recipes or medicine bottles. Folds down to just 3/4"D for easy packing and traveling. Tried it on smartphone & books. Hard to use. Don't recommend. Would this work on a 10" tablet? BEST ANSWER: Thank you for your question. No, it measures 7 1/4"L x 4 3/4"H overall. We hope this information will be of help to you. Thank you for the answer Annette. 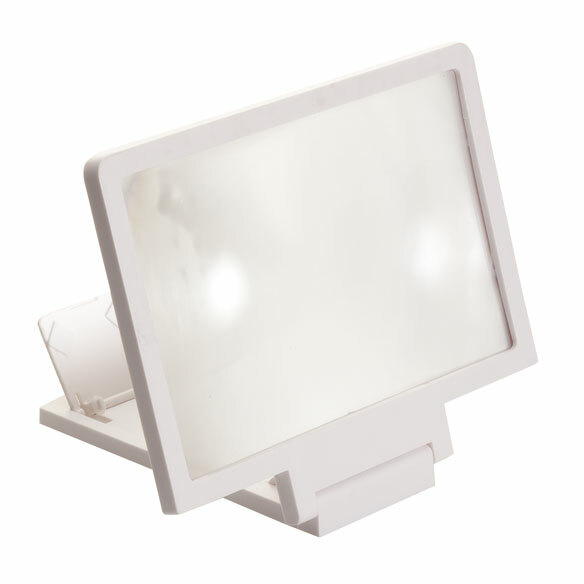 Is there a possibility of Easy Comforts obtaining such a magnifier for a 10" tablet in the future? I am assuming that it is not likely to know what inventory Easy Comforts will acquire and when. I would love to know if this product ever does become part of your inventory, but I guess it would also be difficult to track what a customer wants if a product becomes available, lol. I do appreciate your response. How can you type to write a text when using this? Must you move it away from the phone to text? If you have to that seems to defeat the purpose of it being useful.